I had decided to cancel the comic months ago, but wanted to hold off on stating it. 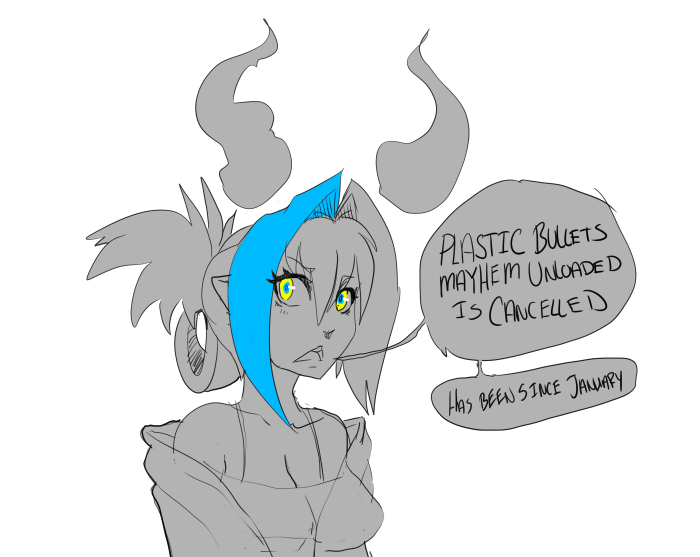 The reason for canceling it, is similar to the reason I put it on hiatus, I had way too much work, and when I thought about the comic, I realized I didn't enjoy writing it. I didn't like the direction the story was going. I had written myself into a hole because I once again did the write as you go approach. Something that I'm working on fixing with newer series. Sorry for all the long time fans and readers who stuck around with this comic for the 4-5 years through all it's ups and downs. This semester will prove to be even more challenging than the last, and I don't find myself having much time. But I figured I should at least give you guys some closure on it. Instead of being one of those webcomics that just stops and drops off the face of the earth. I wasn't expecting to get a comment on the lack of updates, because after last October, I was honestly under the impression that nobody cared. I had burnt myself out trying to promote the comic, and do that top webcomic thing, that it actually made me hate my own comic. Thank you everyone who has read this comic, and shared it with their friends. I hope my future works won't disappoint. If you want to follow me, and see what's in store for the future. Follow me here. Ah and I was just thinking about asking about this a few days ago. It's too bad it's cancelled but no sense in making something you don't like. Looking forward to whatever else you have for us though! Sorry to see this, but as Nama said. Ah, bummer. Would love to see what you do next!